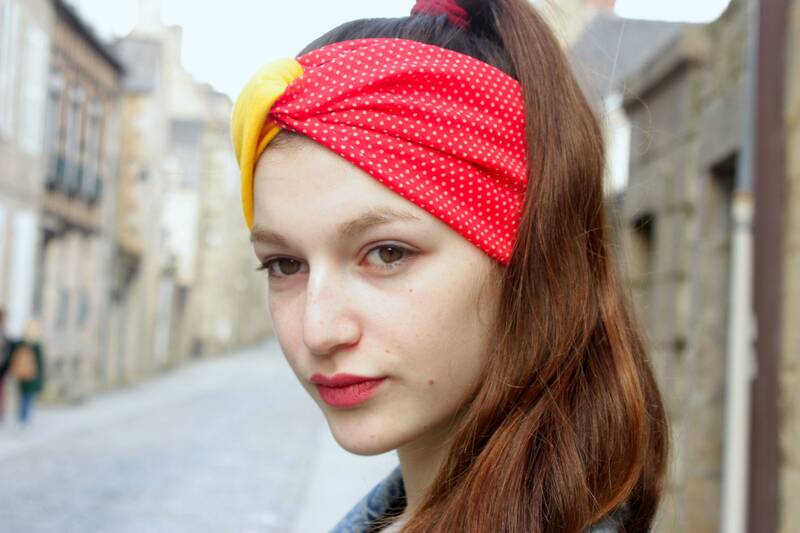 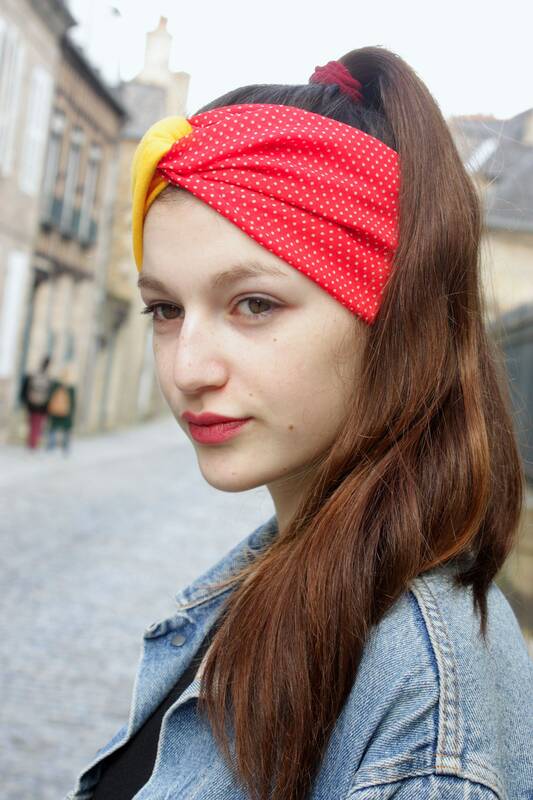 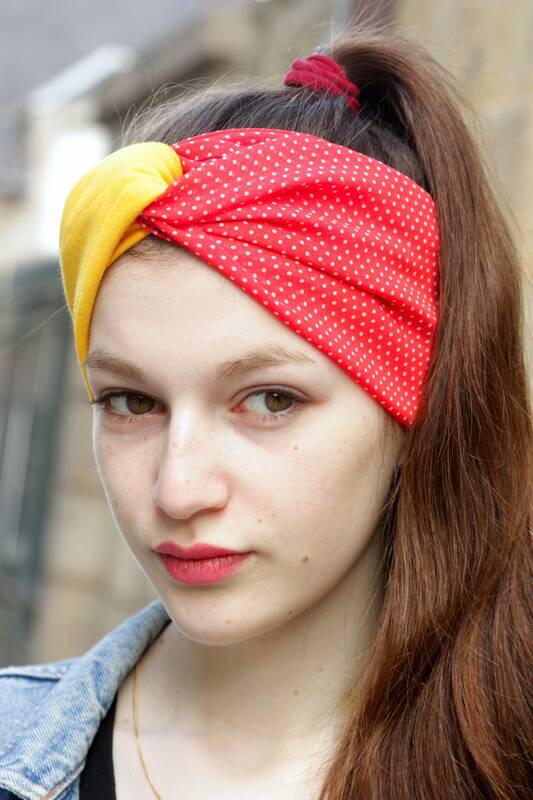 This headband - Turban is made of 2 materials, some viscose red with white polka dot chiffon. 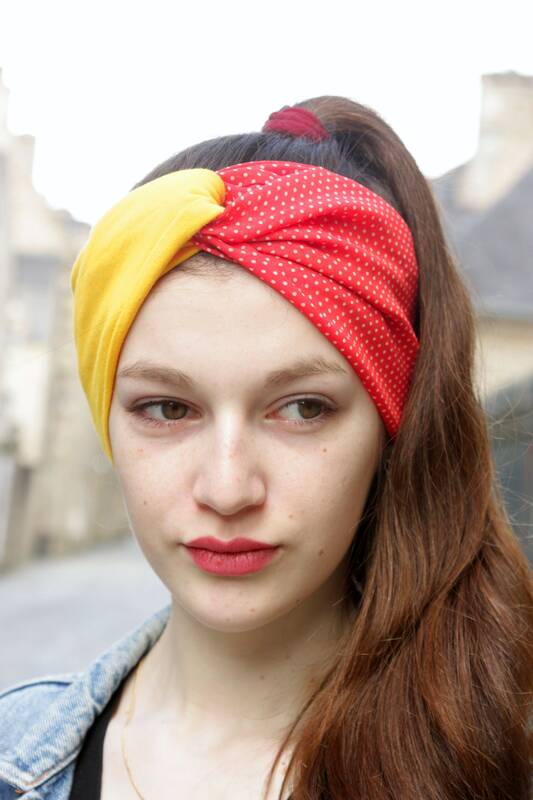 The other side is cotton Jersey, to give ease to the Turban. 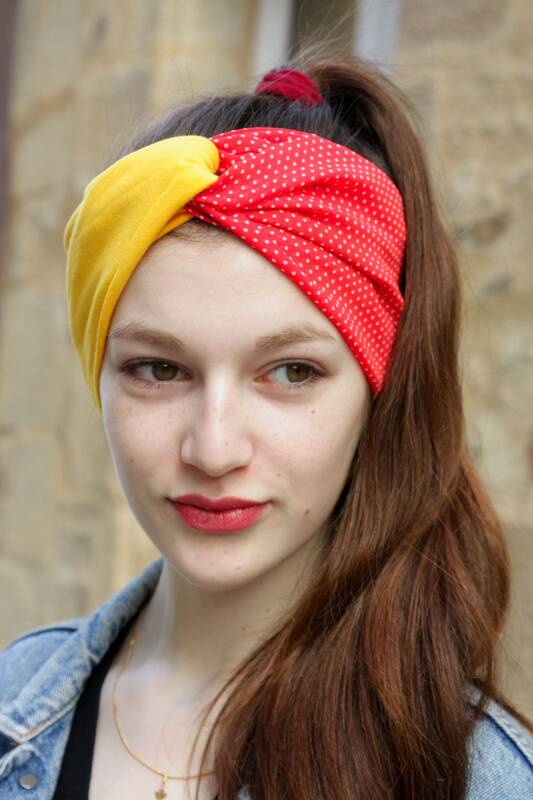 Spirit Rockabilly Retro Fifties, the turban is wide and can be worn loose hair or in a bun, you can adjust the width in order to adjust to your hair and style. 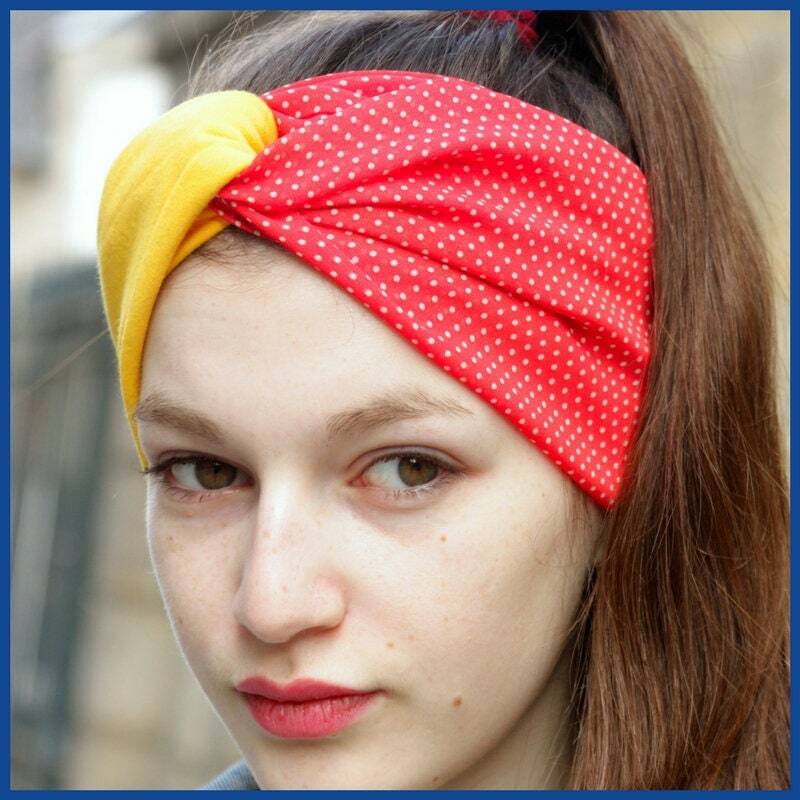 Hand or machine wash inside out.